BINUS INTERNATIONAL – BINUS English Society proudly presents the eCOM 2018! Hurry and register for a lower price before it’s too late! 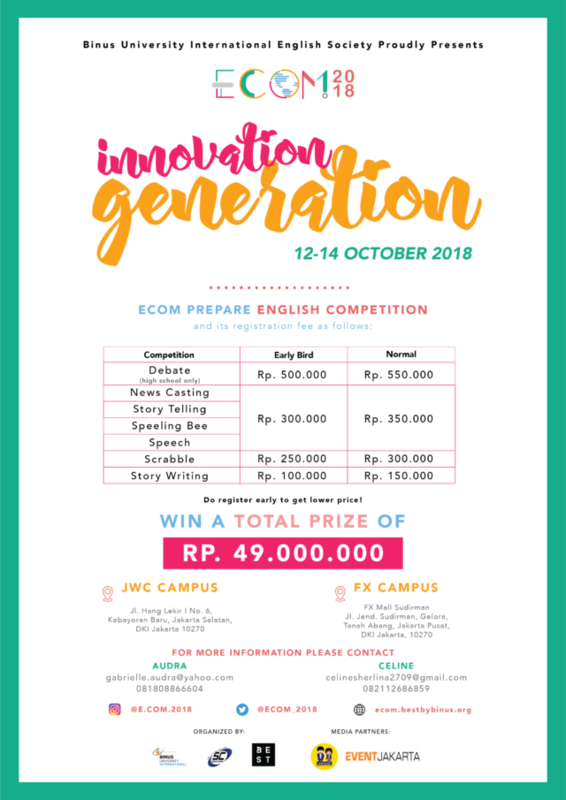 Be a part of BINUS INTERNATIONAL English Competition 2018 and grab a chance to win a total of 49 MILLION worth prizes! Follow us on Facebook (@binus.ecom) or Instagram (@e.com.2018) for more info!